Recently, Maryland announced that it signed into law the Nurse Practitioner Full Practice Authority Act, making it the 21st state to allow licensed nurse practitioners to operate independently of doctors. There are approximately 100,000 nursing professionals currently working in Maryland. The best opportunities are in the state’s most densely populated areas of Baltimore, Bethesda and Wilmington. Maryland is a multi-license nursing state, meaning that nurses licensed there can work in 23 other states as well. Nursing salaries are above the national average, with registered nurses making almost $72,000 annually. Nursing assistants and practical/vocational nurse salaries range from $29,000 to $59,000, and nurse practitioners top the list at about $91,000. We have compiled a comprehensive list of Maryland’s RN to BSN programs. In the summaries below, you will find all the essential program information to help you easily narrow down your RN to BSN search. NCLEX-RN pass rates are as reported by the school. A state-of-the art simulation lab is on campus. One graduate program is offered, the Master of Science in Nursing. Both bachelor’s and master’s programs in nursing are offered. Ongoing collaborative medical research projects are available. Opportunities to gain practical experience in the state-of-the-art SimCenter are available. It's possible to complete coursework part time (6 credits) or full time (12 credits). Curriculum can be completed in as few as 18 months. RN to BSN curriculum is part-time to accommodate working students. The school accepts up to 62 community college credits, or 94 four-year institution credits. The Global Perspectives in Civilization course is mandatory. This school offers a BS in Nursing and RN to BSN only. Only female students are accepted. On-campus simulation labs are provided. BS, RN to BSN, Second BS Degree, RN to MS, MS and Doctor of Nursing Practice degrees are all offered on campus. Opportunities to gain experience at Richard A. Henson Medical Simulation Center are available to students. Scholarships and study abroad programs are offered. Only BS and MS programs offered at this school. Opportunities to gain practical experience at the Nursing Resource Center are available to students. Transfer nursing students are required to take the TEAS V exam. Taking an Ethics course is required. Students can enroll full-time or part-time. An associate to bachelor's nursing program is available to those who meet the minimum requirements but do not have RN license. RN to BSN program offered online. 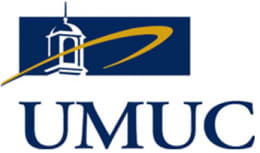 Some graduate, doctoral and certificate programs are offered online. Students have access to 24 simulation labs on campus. 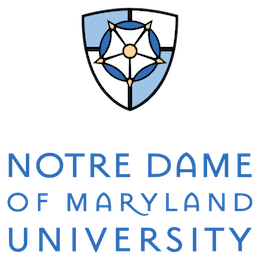 The RN-to-BSN program is offered on the main campus in Baltimore; at the Universities at Shady Grove in Rockville, Maryland; and at Laurel College Center. School Website Campus, Online, and Hybrid 655 W. Lombard St. Vary by program start dates. Several program start dates are available to choose from each semester. 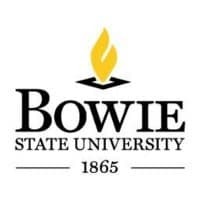 Transfer credits required: General Microbiology with a lab, Human Anatomy and Physiology I with a lab, Human Anatomy and Physiology II with a lab, Introduction to Psychology and Introduction to Sociology. Please contact the RN to BSN program in Maryland that you are interested in enrolling in to confirm details and to learn more. If you run an accredited RN to BSN program in Maryland that is not listed above; please reach out to us with program information and proof of accreditation. Thank you! The Future of Nursing campaign is a nationwide effort to bring the country up to the standards of nursing as outlined in the 2010 Institute of Medicine Report, The Future of Nursing: Leading Change, Advancing Health. As a part of the effort, Maryland has formed a State Action Coalition with the singular objective of achieving the goals set forth by the campaign. Having at least 80% of the nursing workforce hold a BSN degree is an integral part of this initiative and we have outlined the ways in which Maryland is actively progressing on this front. What is being done to increase the number of Maryland RN’s with a BSN? The AC aims to increase the proportion of nurses with BSNs to 80% by 2020. The coalition is currently developing dual enrollment programs with colleges in the state. Yes. RN to BSN Degrees Awarded by Community Colleges; RN to MSN Programs. The AC is conducting surveys to identify leadership among the state’s nurses. Yes. The AC has proposed and supported legislation that removed restrictive collaborative agreements and reduced restrictive attestation. The AC is working towards establishing a statewide healthcare workforce center. For a detailed progress report and additional workgroup contact information, please see the Maryland Action Coalition page. Maryland is part of the Nurse Licensure Compact (NLC). 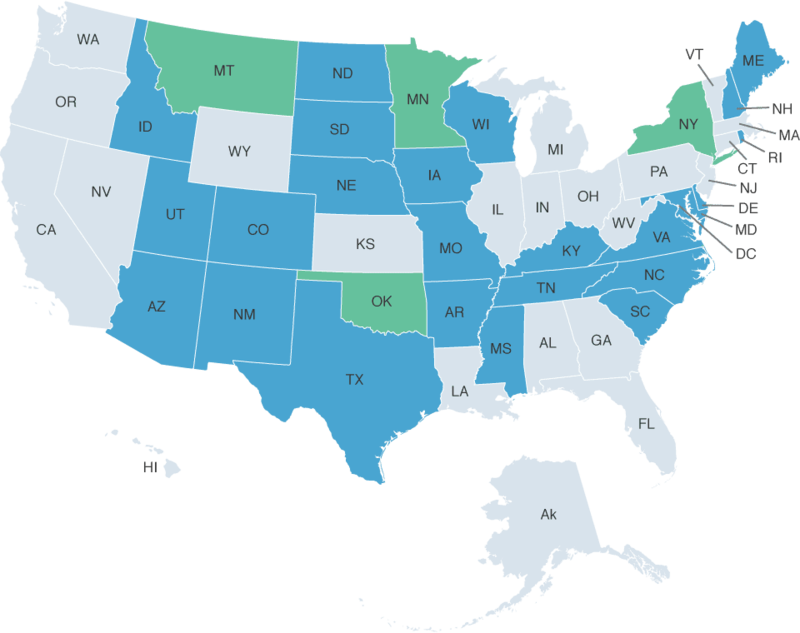 If you move to another state participating in the NLC (pictured in green), you can practice without getting a new license. For licensing information, visit the Maryland Department of Health and Human Services.